OMG who stole my week!!! 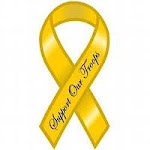 Seriously I do not know where the days have gone I can't believe a week has passed since my last post, I was convinced I blogged at the weekend, oh lordy must be my age or the tablets lol. 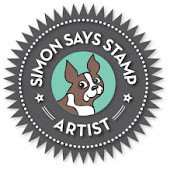 My lovely teamies and I are featuring our fabulous Simon Says Stamp own brand products on our creations this week, if you have any we'd love to see them but as always it's not compulsory to use them to join our challenge. We are celebrating our 5th year of challenges & would love to see your Happy Birthday / Birthday creations. 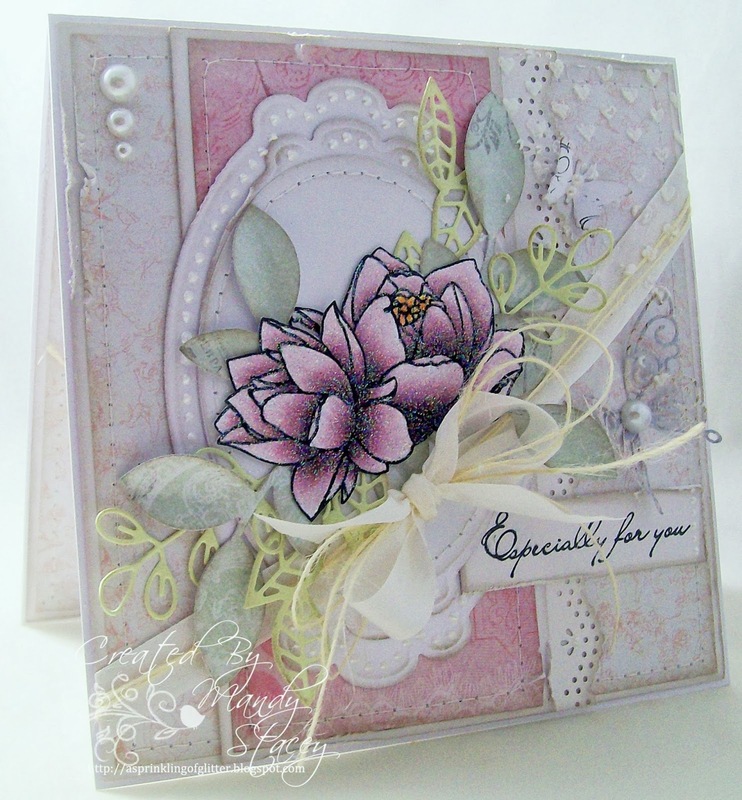 For today's card I decided to try something which is totally alien to me a CAS Magnolia card! Yes it's official the Spring sunshine has gone to my head & my world has gone crazy, Tilda and CAS, I'm still not convinced it works! 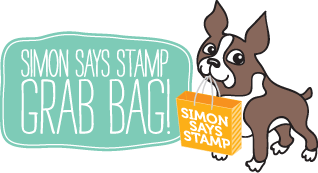 And 2 surprise Simon Says Stamp exclusive stamp & die sets. Beautiful card Mandy! Love the fabulous design!! Very cute!! 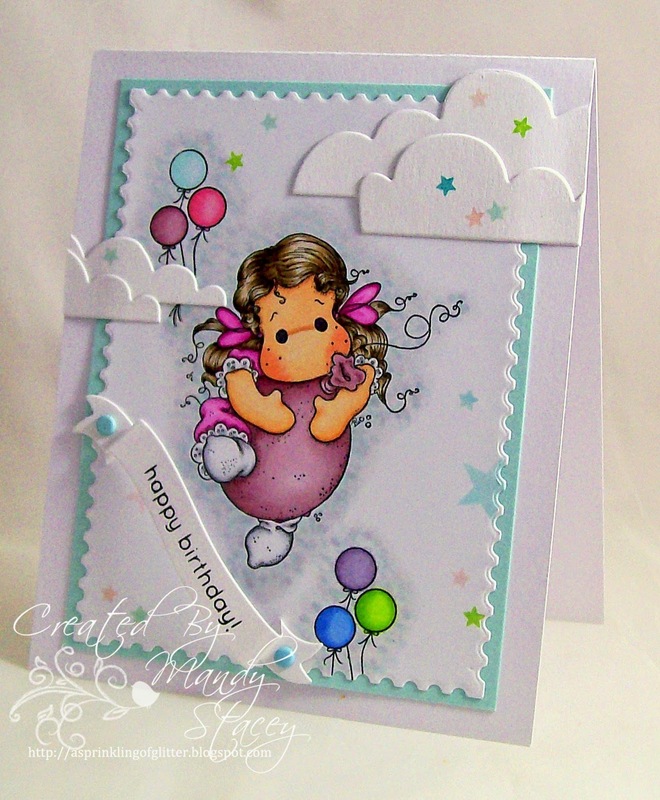 Gorgeous card, Mandy!! I love how you've used the mini balloons on the background!! Oh it's a beautiful card! I really should not come here, I get too tempted by all the lovely items you use!! Any card you make is stunning!! Oh, it works beautifully, Mandy! 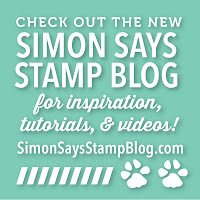 The postage stamp die makes such a cute edge - going onto my wishlist! AWE this is Adorable!!!!!! Totally love it!!! Your card is delightful, Mandy! I love Tilda doing her birthday jig. So cute! This is stunning Mandy, fabulous colours and details! perfectly gorgeous. 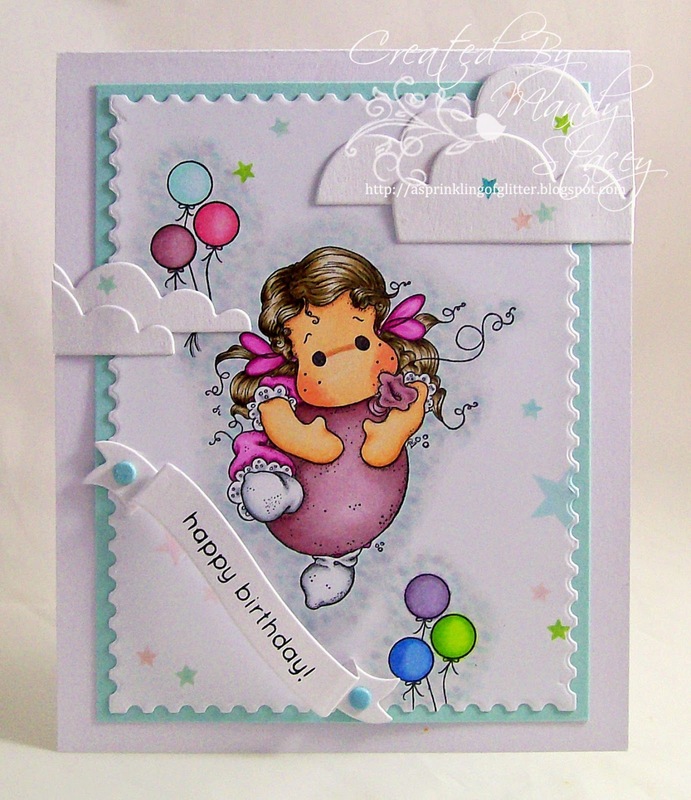 An adorable card Mandy, a gorgeous design - Tilda is beautiful and wonderful stamping and elements!! hi Mandy! 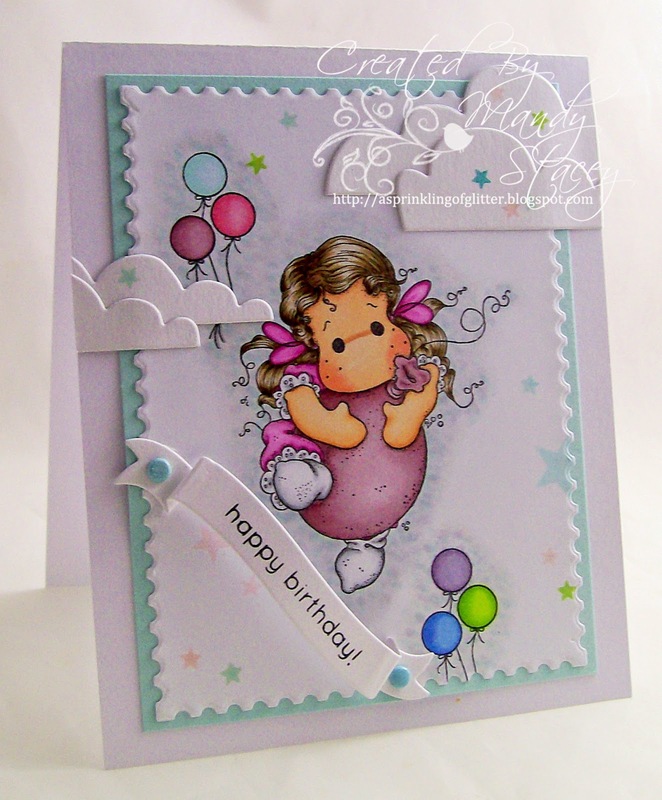 darlin little card, luv the sentiment banner and the sweet balloons! This is such a precious card with beautiful coloring! I love the placement of the sentiment panel! 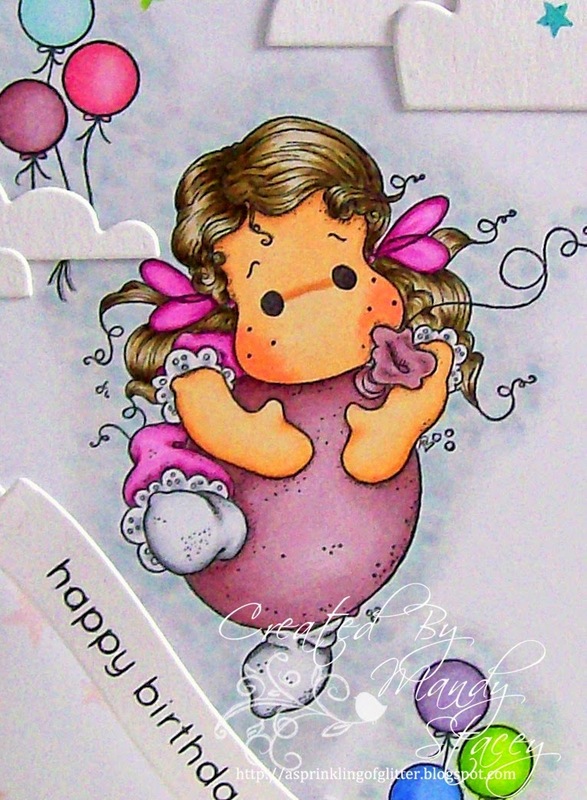 This is a gorgeous card Mandy. Tilda is adorable - she is now going on my birthday list. You have coloured her beautifully and Love that she is floating amongst the clouds. How beautiful sweet and innocent. Oh this is adorable Mandy and gorgeous too. Oh Mandy, I bet it was far moredifficult than one of your beautifully embellished cards, but you did it BRILLIANT here...love it! WOW!!! Great Coloring!! And I love the Background too!! Great Clouds that gives the card the 3D feel. And I love the shine in her hair!! !